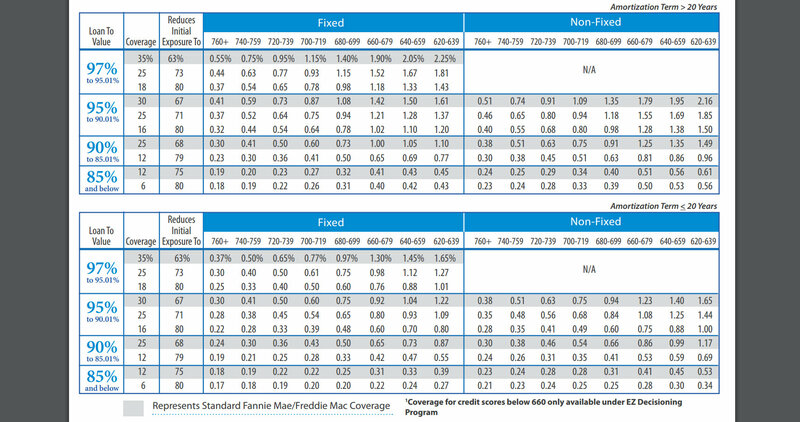 Private Mortgage Insurance - Friend or Foe? It’s easy to think of Mortgage Insurance as an unnecessary evil since it only protects the lender. Private Mortgage Insurance is required when you have a Conventional loan with less than 20% down payment. There’s options! Behind the Scenes, a Mortgage Broker researches their lenders for not only the best home loan rates, but also the best mortgage insurance scenarios. Just like there are many lenders, there are multiple MI companies. Similar to interest rates, MI factors are generally higher with less money down and a lower credit score and vary slightly depending on the MI company. To determine the amount paid monthly, multiply the percentage factor by the loan amount. That will give you the yearly amount. Divide by 12 to calculate the monthly amount, or use a MI calculator. What do you think of Private Mortgage Insurance? Is it hurting or helping? Posted in Buying a House, Credit, First Time Home Buyer, Mortgage, Mortgage Broker, Mortgage Questions, Mortgage Strategy and tagged Conventional Loan, FAQ, Home Loans, low down payment mortgage, Mortgage Broker, Mortgage Insurance, Mortgage Lenders, Mortgage Questions, private mortgage insurance. ← FHA Loan Limits MN 2018 – Updated!